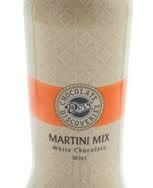 Get ready to “Shake things Up!” with Dove Chocolate Discoveries White Chocolate Mint Martini Mix! This brand new martini mix combines a creamy white chocolate with just a hint of mint and makes a holiday or any occasion that much more special. 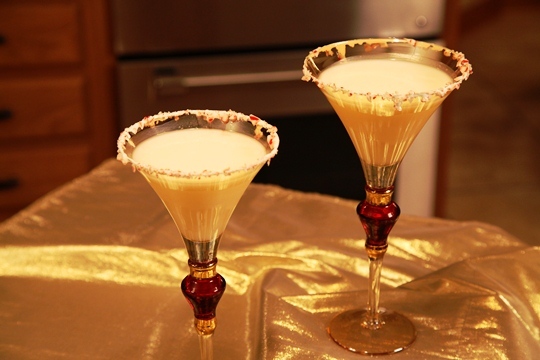 To watch me “Shake things up” watch my YouTube Video: White Chocolate Mint Martini. I rimmed the glasses with Marshmallow Creme and then dipped the eges into crushed peppermint candy for a festive touch! 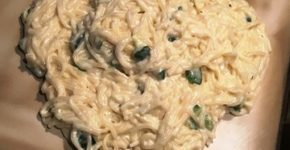 I demonstrated this technique in the YouTube video. Dove Chocolate Discoveries (DCD) can be purchased at a DCD Chocolate Tasting Party or online: White Chocolate Mint Martini Mix. Drinks to Toast the Season – The White Chocolate Mint Martini Mix featured here, a Chocolate Martini Mix, Mudslide Chocolatini Mix, White Chocolate Raspberry Daiquiri Mix, Peanut Butter Chocolate Chip Smoothie Mix…..
Desserts to Celebrate – Chocolate Mousse, Truffle Fudge Brownie Mix ( this is my favorite !! ), Choco-Toffe Chip Cookie Mix…. I have hosted a DCD Chocolate Party in my home and I can tell you they are lots of fun! All of my friends had a great time and we tasted chocolate all night long! 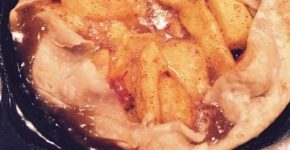 It’s a wonderful way to get your friends together and enjoy some wonderful treats! Note: I received a sample of the DCD White Chocolate Mint Martini Mix to use for this review. No compensation was received. These are my true and honest opinions.